Most of the regular visitors in my blog already know that I am really a nurse (haha) Oh yes! I am. I actually wasted 4 years of my life in the College of Nursing. I had good teachers back then but why I am saying this? It’s because I actually ended up as an internet marketer instead of a Nurse. I have an average of 82.4 in the Nursing Licensure Examination but guess what, 3 years have passed already but I haven’t practice anything from what I have studied on those 4 bloody years. I know something must have gone wrong. Seventy percent of my past and present employees are nurses. Just like me, they are all into internet marketing instead of giving medications, changing IV fluids, comforting patients, saying, “nanay, inom na po kayo ng gamot”, or even trying to stay awake until their shift ends. They are with me. They are writing articles, doing SEO, and other sorts of marketing tactics. The bottom line is, there’s no enough opportunity for nurses here in our country. Oh wait, we shouldn’t even get that far. There’s no opportunity here in the City of Cabanatuan. There is no opportunity here in the province of Nueva Ecija for MAJORITY of the nurses. Sometimes, I badly wish that even just one politician stand up and ask us on what they can do for nurses because obviously most nurses have jobs but they are called VOLUNTEERS. It’s like a crown of kindness for doing good acts for free but hey, Nurses do have bills to pay. They don’t walk just to get to hospitals. They need to eat and they have parents whom they promised a well-off life. Yes, my parents might have sound crazy when they thought that they will have a good life after my graduation. Guess what? the sad news is after that bloody 4 years of tuition fee and daily allowance – not to mention projects, thesis, and affiliations. Those poor parents will continue to pay for daily allowance just so their REGISTERED NURSES can go to hospitals as VOLUNTEERS. Yesterday, someone asked me if I can invite nurses for a small talk. It’s a small meeting but big things can start from there, Don’t you think? 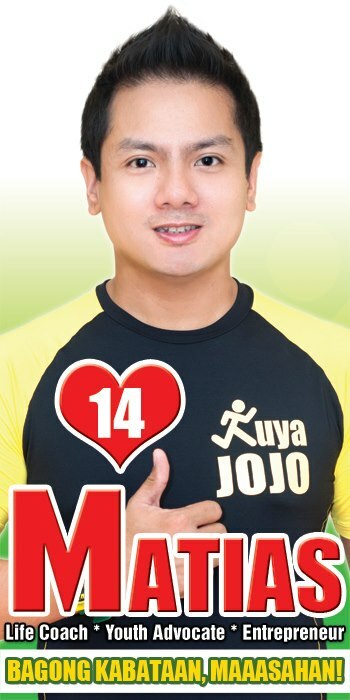 Kuya Jojo Matias is actually the man behind that idea. He wants to know what he can do for nurses. Not those crappy programs that are engineered just so he can claim that he did something for the people but a real one – A SUBSTANTIAL ONE. And because of that, I said, “hey, that’s a trait that I want to see among politicians” I want to see a person in the government who is actually concerned. Who will take time to talk with people so he can nail the real issue. I don’t really know him but this man really caught my attention. And for that, I’ll give him my support and trust. Do You Want to Be a part of Change? If you really – I mean REALLY REALLY want change. Don’t you think, you must take part on it? I mean complaining every time someone’s asking you why you are not practicing your real career won’t help. It won’t! Promise, I have tried it several times (hahaha). For all the nurses living in Cabanatuan City or even near Cabanatuan City and you know in yourself that you can take part in the word CHANGE, do come this coming MARCH 2, 2013 at 1 PM. Meeting place will be at Global Kids Montessori. If I who has no intentions of being a nurse anymore has the concern. Wouldn’t you – a striving nurse join the meeting and finally voice out how you badly needed help? Don’t just try to complain in your facebook status. Let’s start something 🙂 So I guess, I’ll be seeing you next week. Saturday (march 2) at Global Kids Montessori. Good for you – keep fighting for change for good. Thanks for visiting my blog or I might never have found yours!